Welcome to the Department of Horticulture and Landscape Architecture at Purdue University. The mission of the Department of Horticulture and Landscape Architecture involves both education and discovery. Our faculty is committed to teaching and counseling students, and enjoys a worldwide reputation for excellence in research related to horticultural crops. Our goal is to provide the student with the necessary technical information to be successful in the horticultural field. In addition, we strive to provide students with the analytical skills necessary to interpret new information as the world of horticulture continues to change. The curricula within the Department of Horticulture are designed to provide you with communication skills, analytical skills and sensitivity to cultural diversity necessary for success in an increasingly global economy. Upon graduation, you will leave Purdue with a wealth of information and the skills for continued life-long learning. 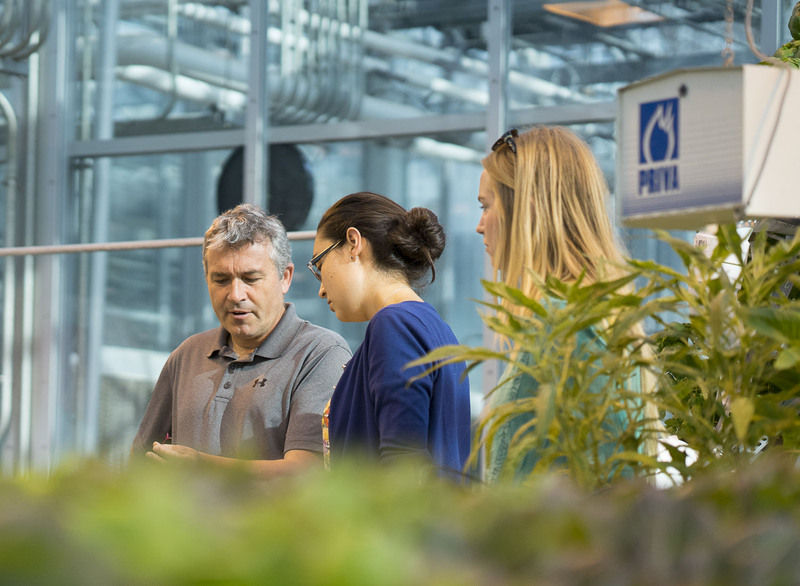 This commitment to quality education by our faculty makes the Department of Horticulture and Landscape Architecture at Purdue University one of the first places potential employers turn for employees. The Main office for the department is located in room 207 of the HORT Building. For Graduate Information please see Horticulture and Landscape Architecture Graduate Program Information .